Bifocal XL builds on the BIFOCAL X platform by increasing the copper mass on each layer. A twelve wire braid worked around the X38R core followed by a layer of braided ESD yarn to separate the high frequency conductors from the twenty four braid that makes up the low frequency conductors. After three trips through the braider you end up with two distinctly unique cables in a single body. 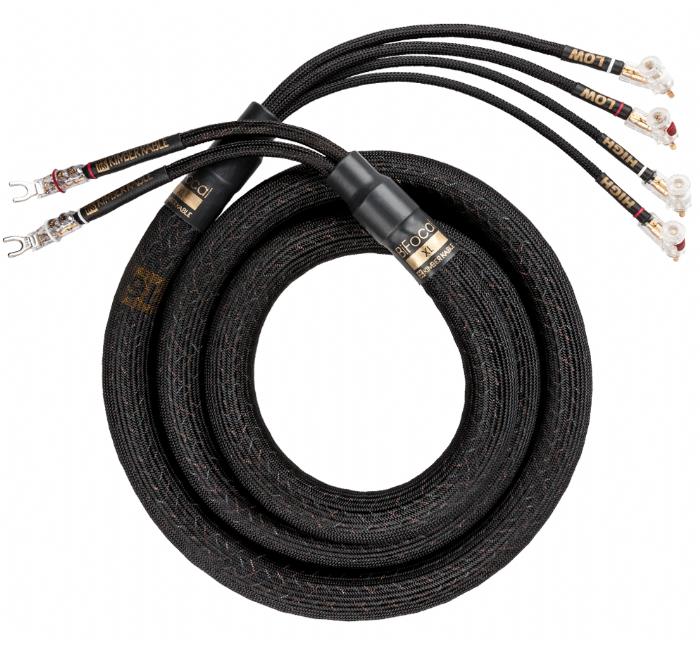 A true biwire or biamp cable in one sleek package. Made of equal parts TC and VS conductors. The best of both TC and VS attributes with much better soundstage and more precise imaging. A better solution for longer runs or more challenging loads.